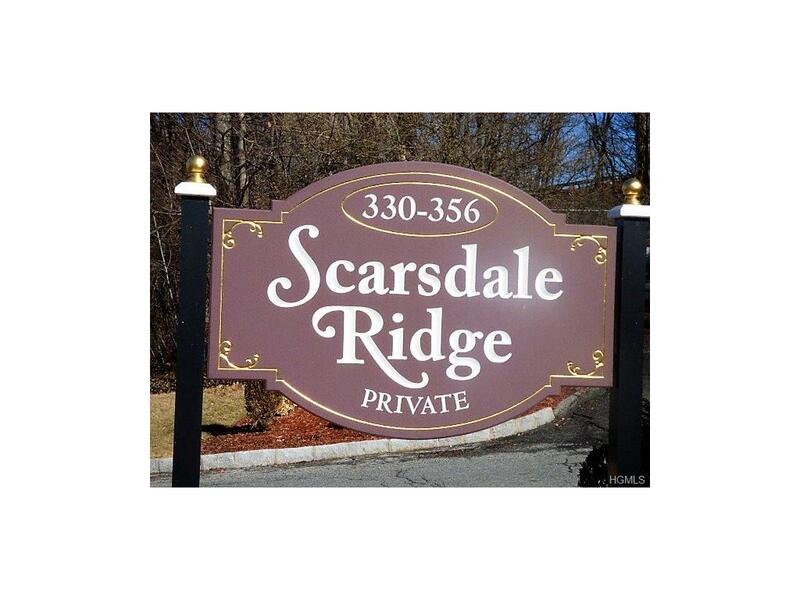 Spacious bright and sunny true 3 bedroom, 2 bath top floor unit in Scarsdale Ridge, a pet friendly (max weight 40 lbs. ), well maintained complex located in the Edgemont School District. Dining area, Living Room w/sgd to balcony which overlooks pool and view of Scarsdale Golf Course. Master Bedroom w/walk-in-closet and two additional good size bedrooms and an abundance of closet space. Security guard, heated pool, assigned parking space, gas heat, hot water & basic cable is included in maintenance. Wait list for 2nd assigned parking space @ $50/mo. Great location as it is minutes to shopping, restaurants, parkways, express bus, Hartsdale and Scarsdale train stations, 35 minutes to Grand Central. Plenty of guest parking for your guest or a second car. Listing courtesy of Louise Barlanti of Claire D. Leone Associates Ltd.